Have you ever had that deep in your stomach, I REALLY screwed this one up feeling? The one that makes you panic to correct it, but at the same time wish you could just ball up in a corner? I HATE that feeling, and especially hate that feeling when my mistake effects someone else that is depending on me! 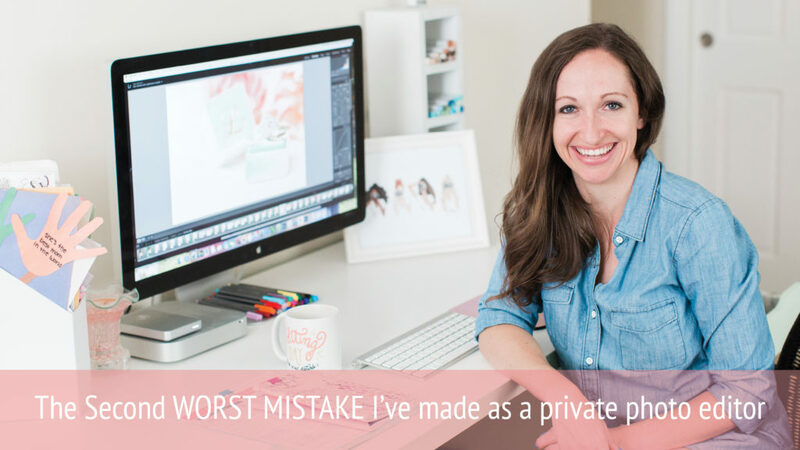 I learned a really important detail about presets last year – luckily – before it cost me a client. Midway through my fourth season I started to take on several new wedding photographers. My first thought was, umm okay, I’ve been doing this for a while now and I’m not trying to toot my own horn but I’m pretty good… how off are we talking about?. Then I saw a sneak peek gallery he made for his clients – THEY WERE WAY DIFFERENT! What’s going on?! Why didn’t the edits match what he had sent the clients? !… Clearly something was getting lost in translation. This is when I learned THE MOST IMPORTANT THING TO CHECK OUT with a new client’s preset. In develop mode, scroll all the way down to Camera Calibration and read what is listed next to Profile. *Most likely* Adobe Standard is selected and that is what you want, trust me. Some presets are made to adjust the camera calibration to something else, in this case Fuju Pro 400h is what the client saw BUT on my end it was, Afga Scala 200x. What we discovered was that some presets that are purchased from other companies, adjust the camera profile, and if a client creates their own custom preset using that, I as the editor have to ALSO have the initial purchased preset in my Lightroom. Because I didn’t, my Lightroom was creating it’s own unique profile and placing that on every image in the catalog. In a perfect world, all clients would create their presets with the profile left on Adobe Standard – this is universal to all Lightroom versions and eliminates the margin of error. But if your client really loves their preset with that adjustment then you need to make sure you’ve got that first preset as well! Learn from my mistake and BE SURE TO check out the camera profile with each client’s preset when you start working with them. Thank you for the heads up! It’s amazing you caught the issue so fast! I’m starting to get into editing now [thanks to your webinar which answered many of my questions! ], and I’ll keep this tip in mind.